One of the most common questions I get asked is where do I get my crystals from or where is a good place to buy crystals. Here are my top tips and buyers guide for buying crystals online and in shops. 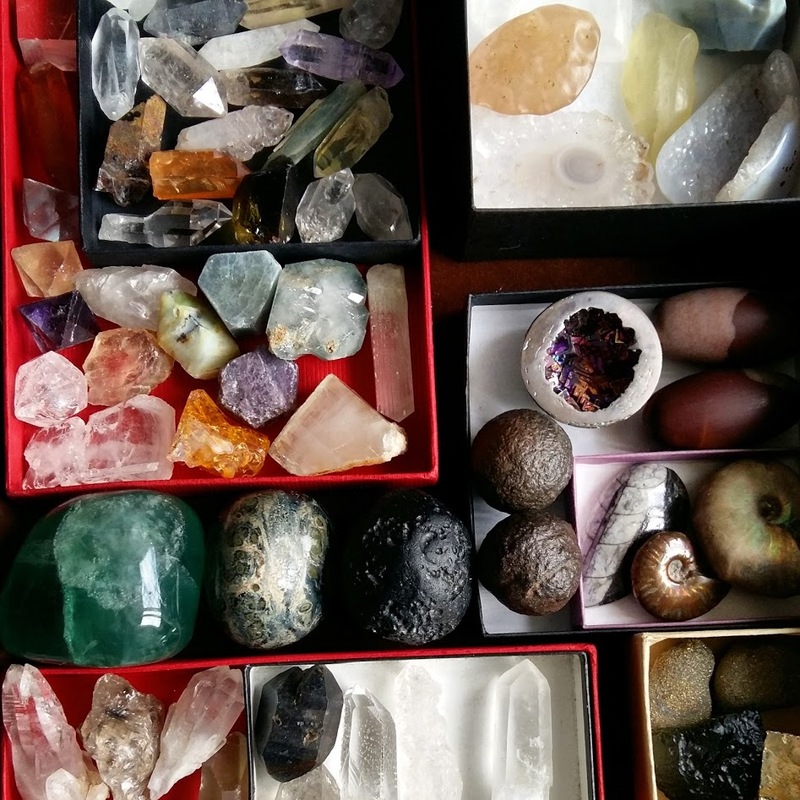 Some of the crystals in my collection have been with me since the early 90’s. This was before the internet and most of those shops no longer exist. Some of my crystals were also gifted to me. Then others I won at online auctions. You see in the mid 2000’s we did not have many websites with crystals for sale. Most people did not trust small websites with their card details and the biggest source of crystals was actually Ebay. Ebay can be a risky place to buy if you don’t know who is a reputable seller. There are lots of fake crystals on there which has put buyers off. Other websites and sellers I bought crystals from have since disappeared. The truth is there is no single one place to buy crystals. You can get excellent quality genuine crystals from your local Crystal Shop or Metaphysical Shop. Fake crystals are something we all need to be aware of, but please don’t get swept away by fear over buying fake stones or become paranoid. Yes, they exist but so does fake money and fake everything come to think of it… More info on this later. The benefit of buying from a bricks and mortar shop is that you can see things up close, at all angles, handle the crystals and feel the energy directly. You can also more easily pick the exact shape of a Tumble Stone or small Crystal Point that you want. The Internet has allowed people to get crystals they would never have had a chance of even seeing 15 years ago. I remember not too long ago many people refused to buy crystals online but thankfully that has become a thing of the past. If you do not purchase crystals online your choices will be very limited unless you live near a mine or somewhere like Tucson. When buying online always buy from a reputable seller, look at the reviews, inspect their crystal photos carefully, ask questions if needed. Check out their social media pages. Use gem, crystal and mineral books to help identify the real thing. Some of this will come with experience. Be careful of very cheap crystals, if it is too good to be true, it probably isn’t the real thing. If you want to know where the crystal is from and it does not say, then ask them. There is a whole World of crystals and minerals out there so I buy online, in Shops and at Gem Shows. What I share here is always just my experience and yours may be different. This is a personal thing, I just want to open people’s minds to different things. If you have friends into crystals they may be able to recommend a good website or seller online. If you found a website yourself, make sure you take a good look around before buying anything. Do they have a good selection of crystals in all kinds of shapes and sizes? Are the photos professional and clear? Do they list the size of the crystals? Are more expensive pieces shown in photos at different angles? See if they have customer reviews. I always like to check if they have a Facebook page or other social media presence. This tells me that they are an active website which is stocked and updated. If there is something you need help with always send them an email first and see if they are helpful. The downside of most online shops is that you may not be able to choose the exact Tumble Stone you want. For larger crystals, you should be able to see photos of the actual crystal you will receive but always check this is the case. 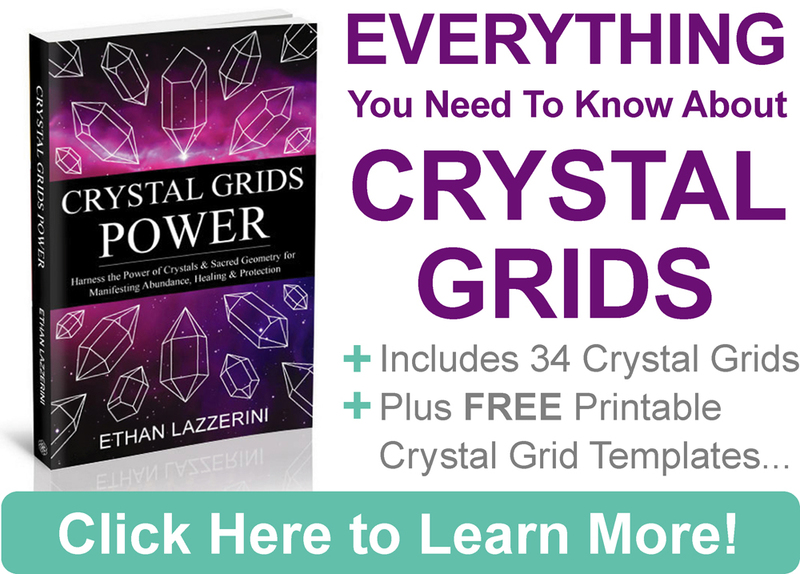 I do not pay too much attention to the crystal properties listed on websites. 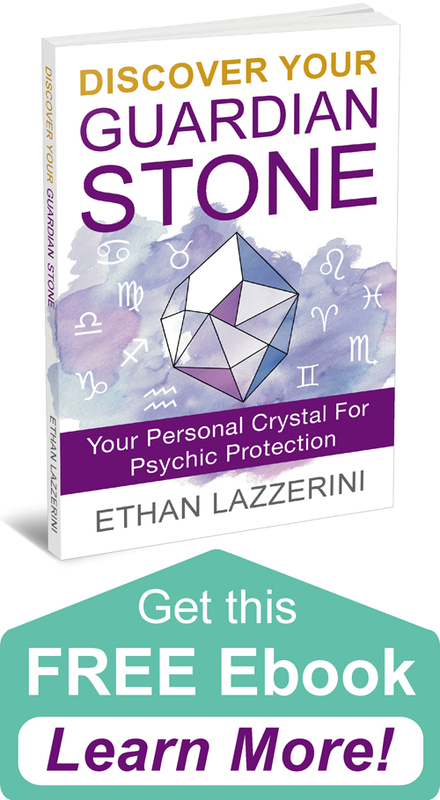 I would advise you use trusted crystal books and sources for properties. Some sellers hype things up and really bad sellers may give inaccurate information. All sellers in shops or online can make mistakes, which is why I recommend using good books for reference especially for identifying stones. If you are purchasing from a foreign Country check the shipping charges before you buy anything. Also, make sure you know the limits on imports set by your Country’s Customs laws. Bulk orders overseas can be very expensive so be careful. They do not respond to emails or take over 3 working days to reply. No social media presence or inactivity for years. They have a tiny selection of crystals. Depending on where you live, you may be able to visit a Gem Show. The largest and the most world famous is the Tucson Gem Show in the US but there are others and similar events in Europe and the UK. These annual events have a huge selection of crystals and jewellery from many different sellers. To learn more about visiting and shopping at Gem Shows please visit my article Gem Show Tips & Buyers Guide. I live in England in the UK, so I try to buy crystals from within the UK. This is because my Country has strict laws on imports which means we get draconian taxes and “handling fees” put on anything over £15 ($21) that we buy outside the EU. Customs also holds on to the order and it gets delayed even longer. If I see something really special online and I can’t find it here then I will order it from another Country. Etsy has become a popular place to find crystals and crystal sellers. It is an open marketplace and consists of new and old businesses, different shops on there will sell different things but generally, it is better quality than elsewhere. Always check the reviews and decide for yourself. Like anywhere there are good and bad sources. I personally and most people I know have had good experiences on there but it will depend on who you buy from. As I have said before buy from a reputable seller and use discernment when buying. The following is a list of places I have purchased many of my personal crystals from for years. I am not affiliated with these shops and I am not responsible for your experince with them or what they sell. Based in the UK. Formally Crystal Reflection. Huge selection of Tumble Stones and beautiful high quality crystals. Very helpful and friendly service. Based in the UK. For the crystal connoisseur. Rare, unusual, high vibration high quality crystals and gemstones. Liam has been selling for many years and always has something new, crystals can sell fast. Based in the USA. Carefully curated and stunning, high quality crystals that sell quickly. Run by Terra who has a hugely popular Instagram account you need to check out. Based in the UK. Good choice of crystals and Tumble Stones. Nice Crystal Grid Sets and Copper bases. Points and cut stones in all shapes. Lots of other spiritual goodies. Gives discounts to members that return! Based in the USA. Amy’s Instagram drew me to her crystal shop. It is filled with treasures of the Earth. Very carefully chosen crystals with many beautiful display pieces. Based in the UK. A more recent discovery. Lots of Tumble Stones and also some stunning display crystals. Many Thumb Stones & Wands. Based in the UK. This crystal shop and website is a member of the FTMG Fair Trade Minerals and Gems. Their crystals are ethically mined and high quality. Lots of unique and unusal stones here. Do you know any good places online to buy crystals? I welcome genuine buyer recommendations in the comments below but please no self-promotion advertising. This post has attracted lots of spammy comments… Thank you for your understanding. (Please keep any questions you have on topic if you want a response). I’m new to the world of crystals and I’ve really been enjoying your posts; they’ve been helping me a lot. As fascinating as it’s been learning about crystals and their energies, I do have a question I’m hoping you can shed some light into for me: How are the energies or healing powers and effects of crystals determined? As in, how was it established that a rose quartz is related to the heart chakra and promotes love and compassion versus selenite clearing negative energies? I’m in the process of starting a crystal collection and every time I see a crystal in a store or online and the related information as to what they’re good for/used for, I always wonder how it’s come to be. Hi Sarah. Good question. Some of the meanings of crystals come to us from ancient traditional sources. The colour, shape and look of a crystal is often related to the energy. Colour is vibration so it is a good guide to their properties and chakra association. Add to this that people who are sensitive to energies can pick up what they do (how I like to work) and you have what we call today Crystal Healing. Hope this helps. Thank you so much! That makes perfect sense. It also reiterates why deep down I feel I should stick to purchasing crystals from a store rather than online. I think the energy and the connection would be the best determining point to why I should get one crystal over another. Keep up the great work, best wishes. A lot of my friends collect crystals and have been pushing me to try it out. I think that I would enjoy having them, but I’m not sure where to start. 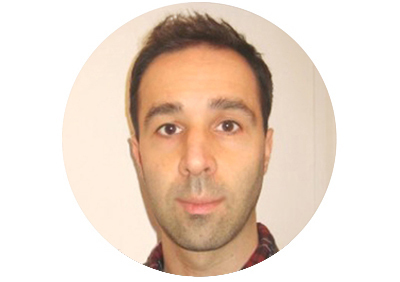 I liked your tip about buying online, as it really seems to broaden your selection. I think that I would like to buy a fire agate first, but is there a certain order that you should collect your crystals in? I have had good luck with buying crystals on Etsy. All about rocks. These are great people who are very knowledgeable about anything you can take a picture of! I highly recommend these groups if you really want to learn. This is a website I’ve used for over 12 months, nice quality, good prices, fast delivery. Very responsive to questions. But, I have been looking for other places to purchase. I was a little skeptical about online purchasing, but I feel a little at ease now. Thanks for the tips! I have been buying my crystals at etsy.com this website has a lot of good crystal sellers. My favorite shops are TheSacredCrystal and WildAndFreeProple if this helps you more. I hope everyone finds what they’re looking for. Sage Goddess is my favorite place to buy crystals and they teach classes on gems, herbs and sacred sisterhood!! 13 Moons is also an excellent online shop to buy crystals and so much more. They also have a physical store and are located in Vermont. The owners are the best and will answer any questions you may have. And as mentioned by previous people, I have also had good luck on ETSY. You mentioned Mile Hi Consciousness. The lady who owns this place is her name Tessa? Or Terra? Please let me know! Thank you. Your words of wisdom and guidance are of great importance to me. I purchase some at psychic-revelation.com. They have a very wide variety, their stones seem high quality and their prices are reasonable. Also their shipping is very, very careful – lots of bubble wrap and so on. Thanks for the article and your interesting website! Hi Ethan. Have you ever checked out https://cosmiccuts.com? I love them because everything you order is free shipping and their customer service is incredible. They specialize in amethyst geodes, but they also have a nice variety of other crystals. Thank you for the information on other stores that I wasn’t familiar with! I’m still learning and growing in the Healing Crystals world and find myself getting engorged with information, and not many outlets. Your site has helped to narrow down my rabbit trail searches exponentially! For online buying I find myself drawn to those sites who have the information on each stone/fossil/crystal set up in a format that doesn’t come across as “too much” or “not enough”. I hope this is within the confines of topic/content you specified. One of the “trusted” sources he mentioned, is the one source that I find the most in sites that actually mention which are “NOT to be trusted” because they sell stones from China, that are not exactly what they seem. Don’t worry, when we are getting ripped off constantly and I still to find one or two that can be trusted to sell they real thing? Great comment! As to Etsy, I tried pulling up a specific crystal and came up with so many “versions” that did not looked even remotely similar. Fake or missold stones can be found anywhere, you have to use discernment and your knowledge when buying crystal. Crystal and mineral books are always helpful. Spotting fakes comes with experience too. Etsy is an open marketplace, always buy from reputable sellers. If you are refering to me mentioning Ebay, I didn’t actually say to look on there. I only link to one reputable seller I personally know and trust who also sells on eBay as well as a physical crystal shop, he gets his crystals from the Tuscon gem show not China. LAST UPDATED NOVEMBER 14, 2018, 2:25 PM: Moonrise Crystals tells where crystals are coming from. The article was interesting. Hope this helps. I try to leave a message,I dont get published why??? I found certification was more common at a Rock and Gem Show but dont know much about GIA or gemstone certification. Maybe someone else will see this and be able to help. Thanks so much for including a buyers guide. I was having trouble sourcing six tumbled celestite at a fair price. I eventually got a great deal on Soulful Crystals. Shipped to AU too! And seriously Ethan if you haven’t checked her out yet YOU TOTALLY SHOULD;) metaphysical shop both online and in California and she has grown to over a million customers worldwide… Also if you look her YouTube channel up she talks about crystals ALOT- I love her. Aside from Athena at sage goddess I also go to etsy. I buy lot of products thru this website, really love their customer service. EMM GEMS In St Ives, Cornwall is a wonderful place to buy crystals and any thing spiritual. And Emma who the shop is named after is so lovely and very helpful. I’m looking for crystal necklaces!! I have been buying crystals for protection, healing, personal assistance for decades. I’ve noticed prices have skyrocketed availability has gone down and quality has gone down. Also there are way more scam artists selling fake man made dyed glass as agate and mislabeled crystals than ever before (dyed quartz as amethyst). Large real amethyst cathedrals that used to cost $300 25 years ago, now sell for $5,000. Herkimer diamonds that used to sell for $10 now cost $200. Many of the rarer sources of high vibration crystals have dried up, such as ajoite from South Africa, and penfieldite from Chile. The big gem shows are still a source of some good finds, but even there the prices have astronomically skyrocketed. Some of the best other remaining sources are going straight to the mines. Some mines have free once a year open houses for rockhounds, some are commercially operated and you keep what you find for a daily digging price such as emeralds & azeztulite in NC, green quartz and selenite in AZ, herkimer diamonds in NY, etc. Online recently I’ve been satisfied with purchases from The Russian Stone, Carl’s Rocks and Minerals, and Jet International. I buy a lot of my crystals from SageGoddess.com based in California, USA. Athena does a fabulous job and she has a presence on instagram and youtube as well. I buy from Star Gaze Crystals on Instagram. I believe they have a website as well. Kimmy does live sales and the Crystals can still call out to me through the live stream. The prices are great and so is the shipping. Check her out guys. I have been buying my crystals now for the last five years from a guy called Keith who has an online shop in the UK called KSC crystals. I cannot recommend him highly enough, he has always supplied me with the stock I have ordered, which is of the best quality and absolutely energetically clean. Keith Birch has a very discerning eye for the crystals he purchases for his online store.I am yet to be disappointed by any one item I have bought from here, they arrive exactly as I remember them ,very lovingly packed and in speedy time. As you say sometimes when I have bought elsewhere I had not received the piece of had ordered and have been unhappy with my purchase. Now I only buy from Keith, I always find what I am looking for as his selection is vast, occasionally when I can’t see it he tells me he has some that’s not on his website yet. So hope that helps you to where to go . This is a wonderful and very helpful list which I have browsed through in detail. Thanks to you I have discovered milehiconsciousness which has amazing crystals, soulfulcrystals which has a wide variety of stones at really affordable prices and Lavish Earth with esquisite crystals. Since you shared this list with us, your readers, I would like to reciprocate and share some with you as well. I used to use https://venusrox.com/ a lot. They’re based in London and have a wonderful collection of crystals and bracelets. The crystals have a country of origin on display which is something that I love, as crystals are living beings and they have a history as much as we do. For me, to know where a crystal has come from is to connect with its essence at a deeper level. (They specialize in Namibian Crystals and African Crystals in general. I love their store.. The crystals are beautiful and have a really high quality). (They are based in South Africa and have a stunning collection of unique crystals not just from Africa but also from around the world). 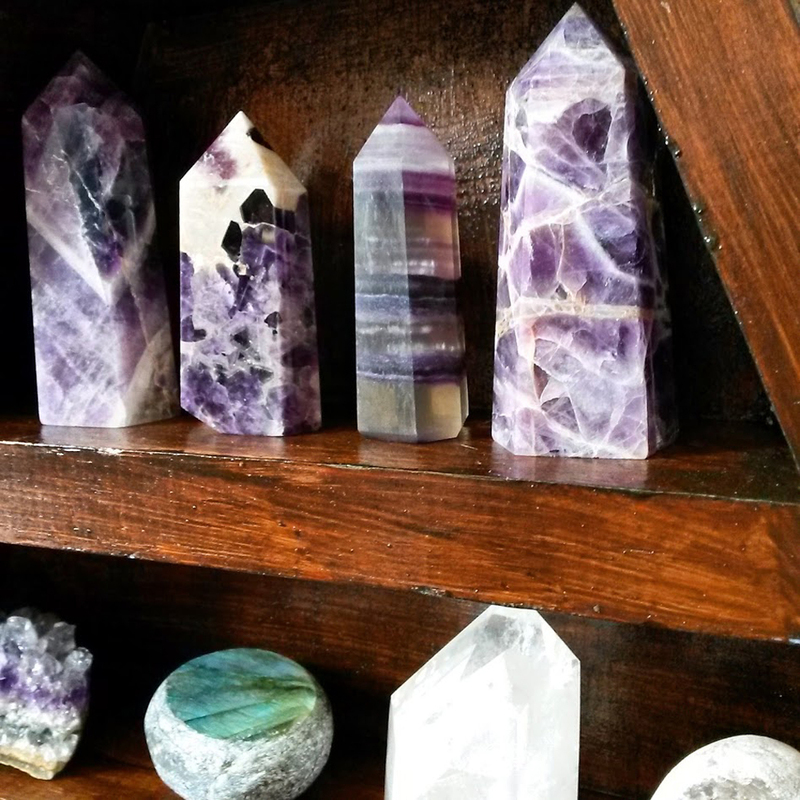 (This store is based in Colorado and offers a variety of crystals. It’s a good store). (The store is based in Australia and it has incredible crystals. Really incredible). Thank you so much once again for this wonderful post. Without it I might not have been able to discover other stores with wonderful crystals that appeal to me at all levels! We have a really cool store here in Makanda Illinois. It’s called Makanda Trading Company. They have some amazing crystals and the owner is very knowledgeable. I’ve previously always bought in stores, but recently gave Etsy a try. I found DejanyooCrystals and love them! They have loads of wands & eggs and I love when they get the animal shaped crystals – they make amazing feature pieces which people always ask me about. They are based in the UK but ship internationally. I have purchased from Exquisite Crystals located in Vancouver, WA. They have a very diverse & high quality line of crystal specimens. Something at every price point. Very professional presentation & knowledge. There are a bunch of places to buy stones in bulk on Amazon. Do you have any suggestions on which would the best variety for like 2 lbs of medium sized? Do you know of any other sites where you can buy many different stones in bulk? I don’t like to buy crystals on Amazon as they rarely have good photos and I have heard mixed things from people who have. You can get crystals in bulk from Etsy, it is cheaper on Ebay but be careful who you buy from and what you’re buying. Otherwise visit a gem show and talk to the sellers.